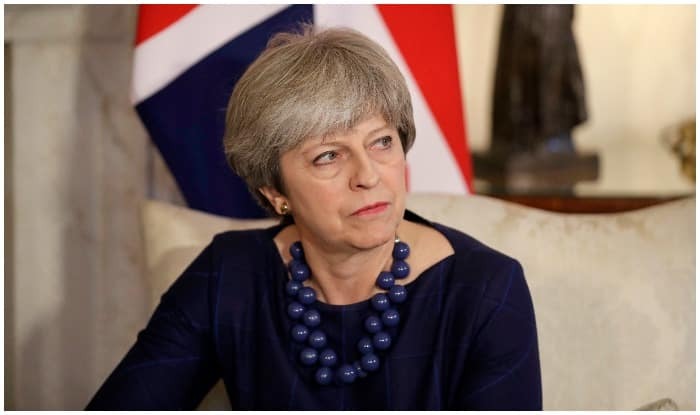 London: Coming as a setback for British Prime Minister Theresa May, Rebel Tory MPs on Wednesday joined forces with Labour to announce that May has to come up with fresh plans within three sitting days if her Brexit deal is rejected by MPs the next week. May postponed an initial vote last month in the face of opposition from all sides of the House of Commons, but has now set it for next Tuesday evening after 1900 GMT, following five days of the debate starting Wednesday. “The work to secure those assurances is ongoing,” her spokesman said, adding that the prime minister hoped to have something to offer MPs before next week’s vote. But with opposition among MPs still strong, there is growing speculation London could seek to delay the EU’s two-year Article 50 exit process to allow more time to get the deal through parliament. The other 27 EU leaders have repeatedly said they will not reopen the deal struck with Britain in November, which covers key separation issues such as money and expatriate citizens’ rights. And Irish Prime Minister Leo Varadkar told the Irish Times there were discussions on whether the EU could offer “a further set of written guarantees, explanations and assurances”. Eurosceptic Conservatives and Northern Ireland’s tiny Democratic Unionist Party (DUP), which props up May’s government, fear it could tie London to Brussels for years to come. However, France’s Europe Minister Nathalie Loiseau said “there is nothing more that we can do” — and warned against putting too much faith in talk of extending Article 50. “I don’t work on hypotheses — the current situation is complex enough… Let’s stick to where we are now,” she added. An EU diplomat also told AFP that the idea of delaying Brexit “is a very hypothetical option”. Any extension to Britain’s departure would be complicated by the elections to the European Parliament in May. After Brexit, it will no longer be represented in the assembly. May is looking at a possible time limit to the backstop arrangement and increased parliamentary scrutiny to try to sway MPs. But if her efforts fail, many fear Britain could leave the EU with no deal, with potentially disastrous legal and economic consequences. A cross-party group of MPs sought Tuesday to amend a finance law to limit the government’s tax-raising powers in the event of “no deal”, as a way of forcing it to stop such a scenario. The impact of a disorderly Brexit would also be felt across Europe, including in the EU budget. May’s deal sets out plans for a post-Brexit transition period in which Britain would keep making financial contributions until December 2020. EU budget commissioner Gunther Oettinger said that without this, “we would be short a figure in the billions of euros for the rest of the year and a higher figure for 2020”.